J C A Landscaping, Inc.
Cooper Construction and Engineering, Inc. Comment: We are looking to instal polished concrete for our kitchen floor. The space is about 15x15 square feet. There is vinyl subflooring that will need to be demo'd underneath it first. Please advise and itemized cost for labor and materials as well as how long this project would take. Thank you. Comment: I would like to get an estimate for replacing the concrete landing and steps with a new concrete landing and steps. We also need railings installed. Comment: I would like concrete pouring on the side of my house, it is approximately 111 sq. ft. Comment: We have a 3âx26â wood retaining wall that is showing signs of movement. 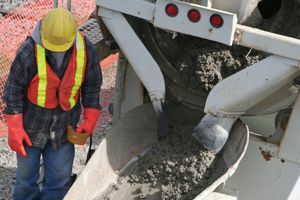 On Time On Budget, Inc.
Oakland Concrete Contractors are rated 4.68 out of 5 based on 731 reviews of 46 pros. Not Looking for Concrete Contractors in Oakland, CA?